Karl Marx predicted a world in which technical innovation would increasingly devalue and impoverish workers, but other economists thought the opposite, that it would lead to increased wages and living standards--and the economists were right. Yet in the last three decades, the market economy has been jeopardized by a worrying phenomenon: a rise in wage inequality that has left a substantial portion of the workforce worse off despite the continuing productivity growth enjoyed by the economy. Innovation and Inequality examines why. Studies have firmly established a link between this worrying trend and technical change, in particular the rise of new information technologies. In Innovation and Inequality, Gilles Saint-Paul provides a synthetic theoretical analysis of the most important mechanisms by which technical progress and innovation affect the distribution of income. 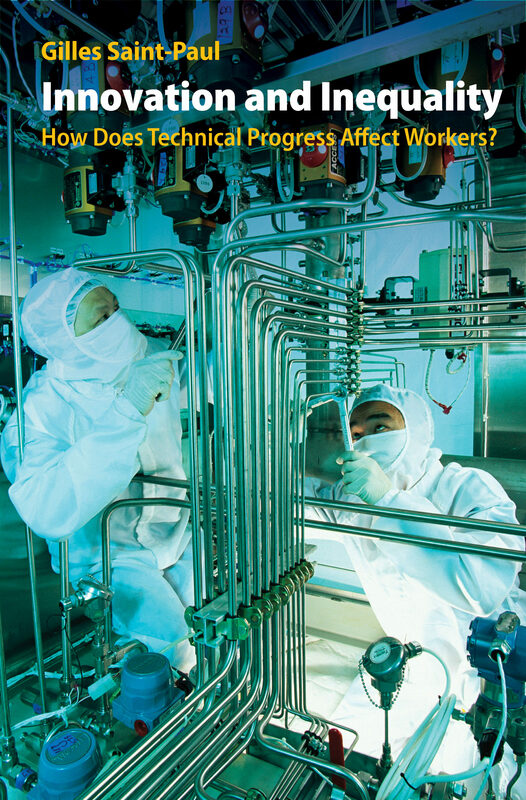 He discusses the conditions under which skill-biased technical change may reduce the wages of the least skilled, and how improvements in information technology allow "superstars" to increase the scale of their activity at the expense of less talented workers. He shows how the structure of demand changes as the economy becomes wealthier, in ways that may potentially harm the poorest segments of the workforce and economy. An essential text for graduate students and an indispensable resource for researchers, Innovation and Inequality reveals how different categories of workers gain or lose from innovation, and how that gain or loss crucially depends on the nature of the innovation. Otros ebooks de Gilles Saint-Paul.